Sometimes we need to go deeper into the woods—farther off the proverbial beaten path. The only way to accommodate this is to plan for an overnight backpacking adventure. Here, we have highlighted some of the best overnight backpacking trails in America's national parks. The Lyell Canyon-Vogelsang Loop Trail takes two to three days. The trail is part of the Pacific Crest Trail, so you’re likely to see thru hikers on much longer hikes than this. This particular trek through Yosemite’s Cathedral Range takes you through stunning landscape while it’s accessible, from May until October. To do it as a backpacking trip, begin at the Tuolumne Meadows Wilderness Permit Station and head toward the Lyell Fork of the Tuolumne River. After crossing the river, turn east (you'll run into the returning trail here, coming down from Vogelsang). Continue along the John Muir/Pacific Crest Trail toward Lyell Canyon and Donohue Pass through fields of wildflowers within the flat canyon. When you reach the junction at Ireland Creek, you’ll leave the John Muir Trail and turn toward Vogelsang and Ireland Lake. Here the trail becomes a lung buster as you climb through the forest to the top of the ridge between Lyell Canyon and Rafferty Creek, gaining an expansive view of the Cathedral Range. You can find spots for camping here, but only a few have access to water. 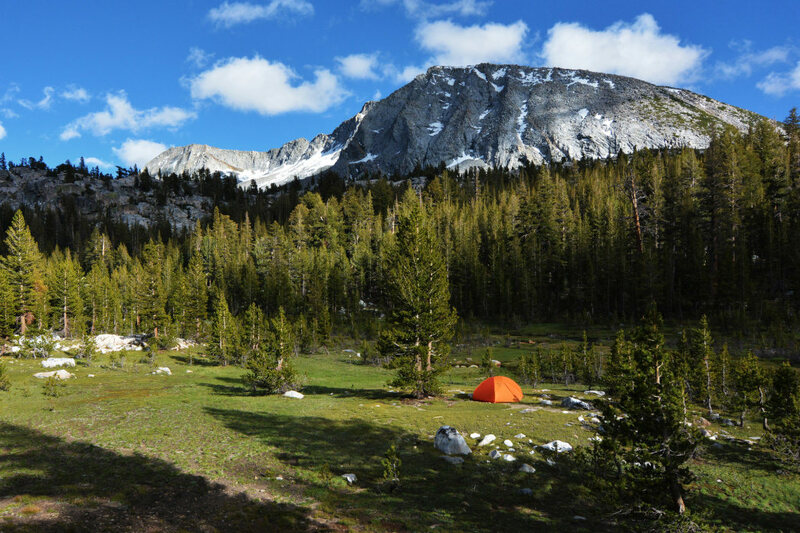 Other favorite campsites are under Fletcher Peak near Vogelsang, near an unnamed lake, and near Evelyn Lake. From the top of the ridge, a slow hike downward past several lakes leads to Vogelsang High Sierra Camp. From here the trail drops to Tuolumne Pass, then descends into the valley of Rafferty Creek before one last drop to the Tuolumne River and, incidentally, the trail you started on. If you’re just getting into overnight backpacking trips, this short one is a good place to start. Use it to test a new pack and other gear. This in-and-out hike begins and ends at Cosby Campground in Tennessee. Traffic along this stretch is light in spite of the Great Smoky Mountains getting more annual visitors than any other U.S. National Park. Both the Appalachian Trail and Low Gap Trail II lead to Cosby Knob. Start from the Cosby Campground and climb Low Gap Trail for almost three miles. Then, either follow Cosby Creek for the a half mile or hike through the campground to the Low Cap Trail. That trail is marked difficult due to a steep, short climb of nearly 2,000 feet with switchbacks over several ravines. At the ridge, take a right where Low Gap Trail joins the Appalachian Trail, and follow the Appalachian for 0.9 miles (another 500-foot ascent) to the Cosby Knob Shelter, which is just across the state line in North Carolina. 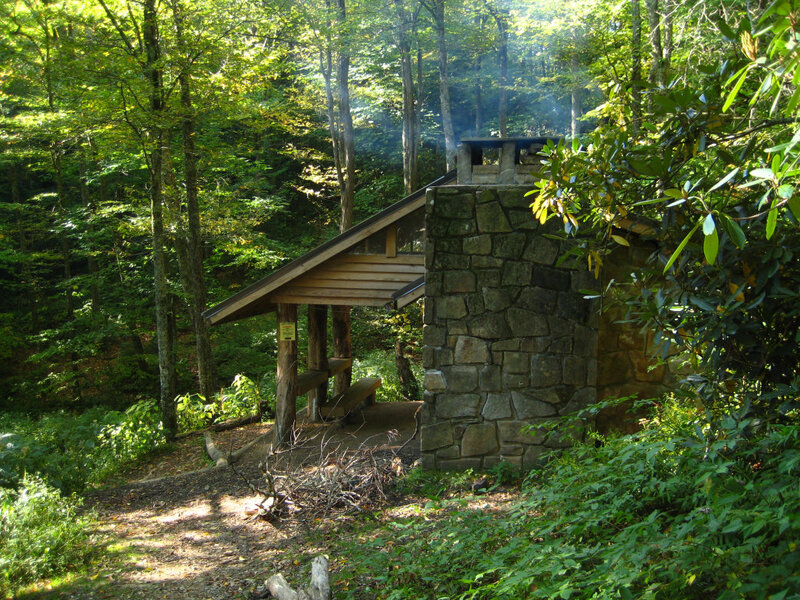 The shelter sleeps 12, has a fire ring nearby, a freshwater spring, and an open porch with seating. 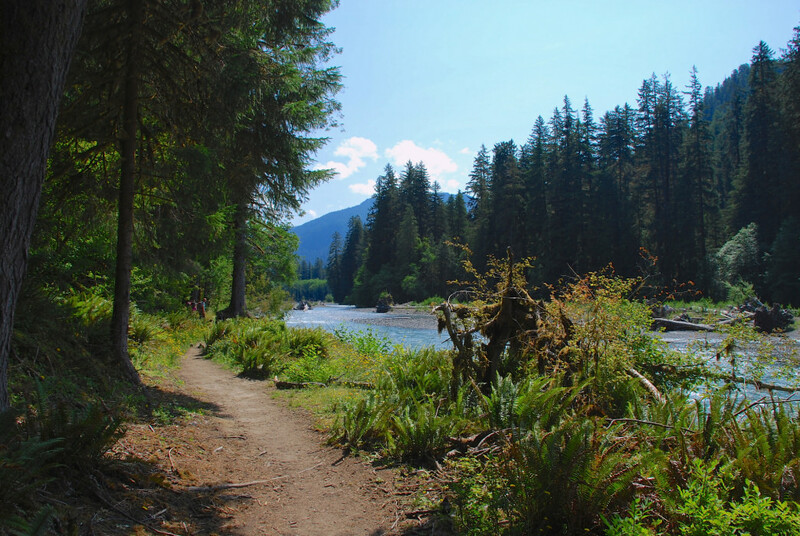 The Hoh River Trail will lead you through temperate rainforest, subalpine meadow, meadow basin, montane forest, across one river and a few other small streams. The trail is well-maintained and generally flat for the first 13 miles before the climb to Glacier Meadows. This trail is best hiked from June through September. From the end of the trail, don’t fail to take in the views of Mt. Olympus and Blue Glacier. This out-and-back trail begins and ends at the Corral Creek Trailhead just outside Rocky Mountain National Park, along a flat dirt road that turns into trail along Corral Creek. About 1.3 miles in, enter RMNP and then turn south into a gorge carved by the Cache LaPoudre River, which it parallels for the half mile to the Mummy Pass Trail Split, and then climbs steadily for .75 miles before offering a brief .5-mile break. The main climb leads you up through a forested ridge for the 4.3 miles to the Mirror Lake Trail Split. Turn left (north) to Mirror Lake, a little gem surrounded by unnamed peaks. Nearby, backcountry trails lead to campsites. Campers have spotted various wildlife, including moose in the meadows along the way. Gorgeous aspen trees, ponds and lakes, open rocky areas, abundant wildflowers, stunning views—it’s the perfect backpacker’s trip. If you’re spending a couple of days here, or feel like trekking more once you set up camp, hike to Sky Pond about a quarter mile past Mirror Lake. This trek requires logistics. Park at the Lake McDonald Lodge and catch the first shuttle to Logan Pass for another shuttle down toward St. Mary Lake. Get out at the Jackson Glacier Turnout, where the trek actually begins, off of Going to the Sun Road. The trail runs between Saint Mary Lake and Lake McDonald and passes glacial lakes and through surreal, diverse terrain. Look for Gunsight Lake along the trail, with its turquoise color caused by "glacial flour" suspended in water. This trail is great for two- to three-day adventures. 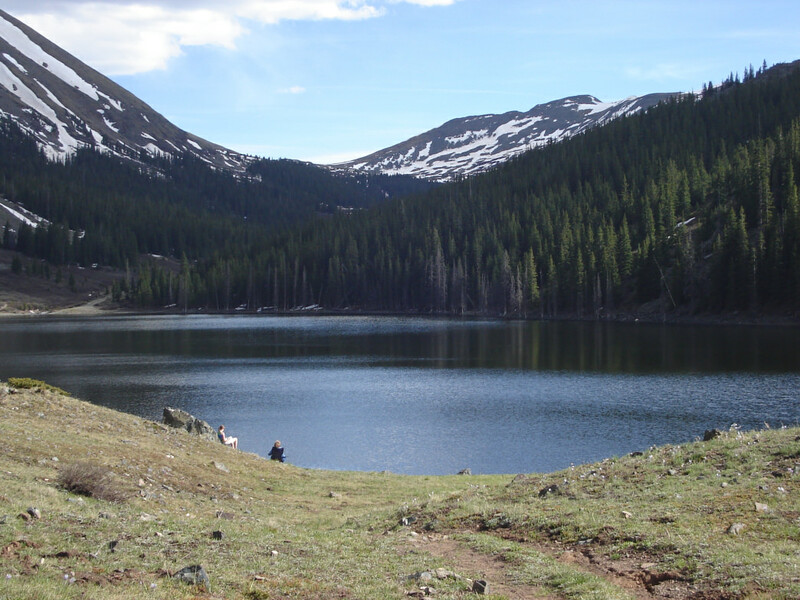 Backcountry campsites are located at Gunsight Lake, Lake Ellen Wilson, and near the Sperry Chalet.